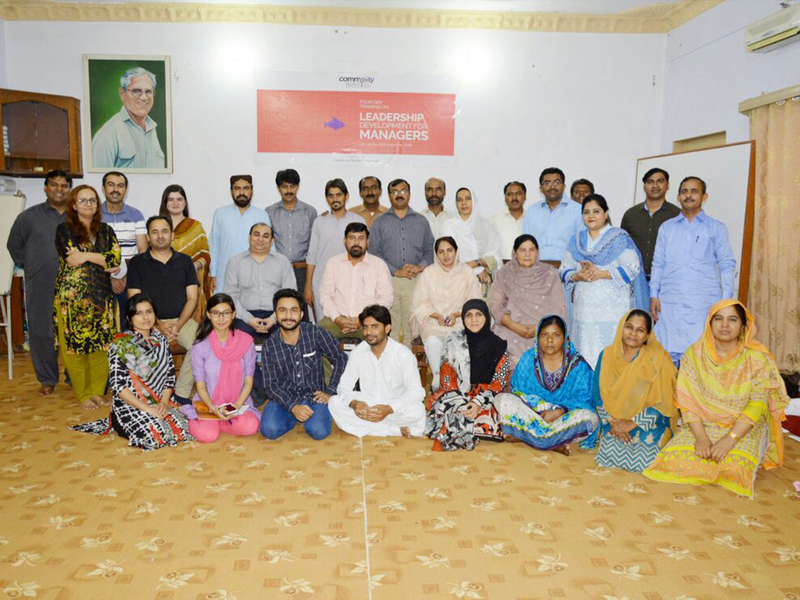 Group Photo of the training participants of "Leadership Development for Managers" in Sindh. Participants working in a group activity during the session of different style of communication and their advantages and disadvantages. Participants sharing group’s perspective on different level of team building. Participants during group work on “Identifying your Leadership Model”. Participants were provided with the leadership model of different countries and were asked to identify solutions of their existing problems in their organization by following the assigned model. The purpose of the activity was to explain participants that there are different styles of handling a same problem. Most managers in local organizations are often not given many opportunities of professional training or grooming on enhancing leadership skills. These particular skills are crucial to achieving planned goals and to bring the best out of a team in any management role. To fill this gap and to further strengthen the role of managers, second-line leadership, and staff in supervisory roles in local NGOs or CSOs, Community World Service Asia organized a four-day workshop on Leadership Development, under its Capacity Enhancement Program in Mirpurkhas, Sindh, Pakistan. 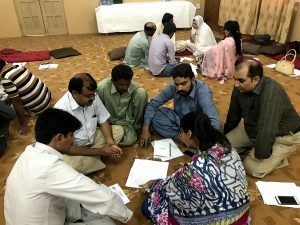 The training, organized in early May, was participated by twenty-seven professionals from eleven local level organizations in Sindh. 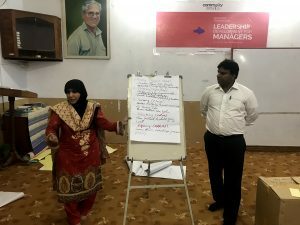 The training, which was in a “workshop” format, focused on introducing the various leadership styles recognized globally and strengthening management skills and professional competencies to lead and guide teams and individuals. Some of the key sessions of the training included “Difference between Leadership and Management Skills”, “Community types and style”, “Transactional Analysis and Coaching” and “Mentoring Skills”. Participants understood the difference between a good leader and a good manager and what characteristics stands them apart. An activity which aimed at identifying and mastering the five steps for team building helped the participants to reflect upon the critical stages of team building and how to facilitate the process. Referencing to real life challenges faced in work environments when attempting to conduct team building activities, this session was particularly relevant for most participants. Transactional Analysis was a new approach introduced in the training. The session analyzed the social transformations of organizations. With the help of this session, the participants further built their knowledge on the various types of social transactions and how to avoid arguments or cross communication with colleagues in future. Participants recognized the importance of mentoring and coaching towards developing second-line leadership and how vital it is for staff in managerial roles as it aids in limiting the risks of internal and external challenges faced by organizations. 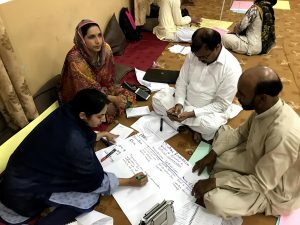 Sohail Muhammad Ali, the lead trainer for the workshop applied interactive and participatory approaches throughout the training which allowed participants to be consistently engaged and active throughout the sessions. Participants voiced their concerns and opinions openly during the four-days workshop.